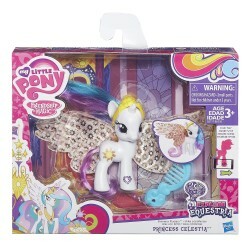 Princess Celestia travels throughout the kingdom in her lovely shimmering wings and royal tiara! 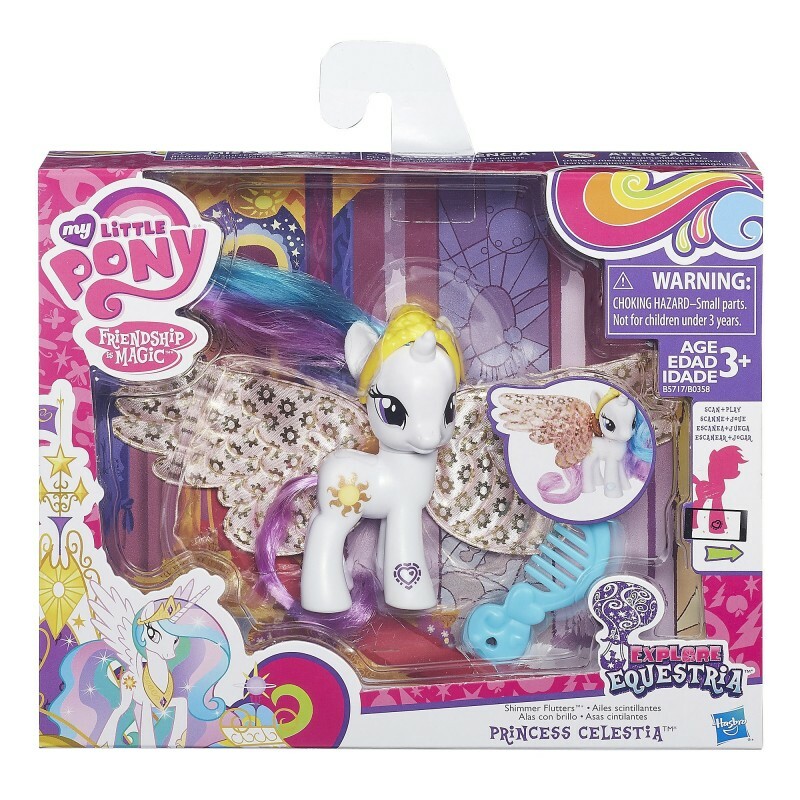 Attach the big, beautiful wings included in this My Little Pony Cutie Mark Magic Shimmer Flutters Princess Celestia set to her body and imagine the places she’ll go. 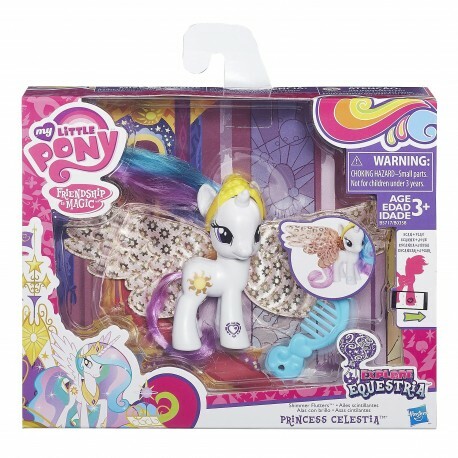 Then comb her long, beautiful hair to help her look her best. 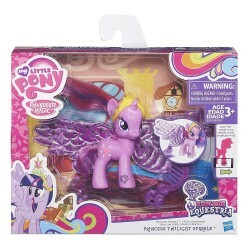 Shimmer Flutters Princess Twilight Sparkle pony comes with a tiara, comb, and a pair of royal shimmering wings. 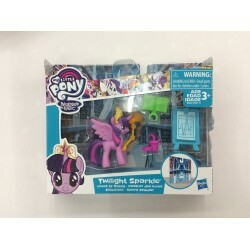 Scan the pony’s code to unlock more fun in the My Little Pony Friendship Celebration app.